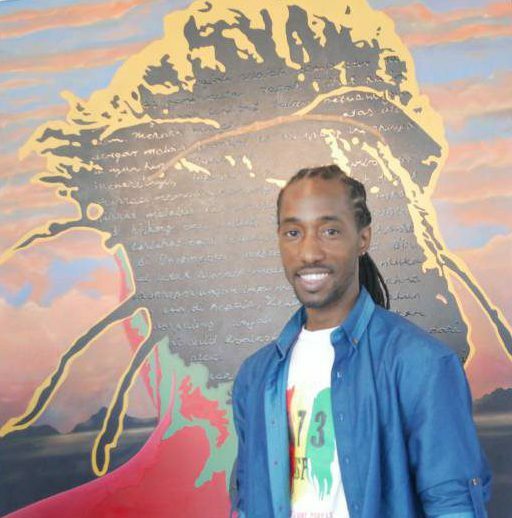 The Waving Art Gallery at the Maurice Bishop International Airport has been transformed into a room of creativity, art and colours, as paintings from a young Grenadian artist, Nicholas ‘Nico’ Thomas, are being exhibited. Nico’s artwork, themed “A Path to National Identity” features a number of images relating to national identity and introspection. Nico hails from Malti, St David, and has been painting since the age of 6. He taught art at the St David’s Secondary School, and then grasped the opportunity to further his studies in Art at Institut Seni Indonesia (ISI) Padangpanjang, Indonesia. He currently holds a Masters in Art. Nico says that “the environment that I live in and the circumstances that I’ve been faced with on a daily basis” serve as inspiration for his paintings. 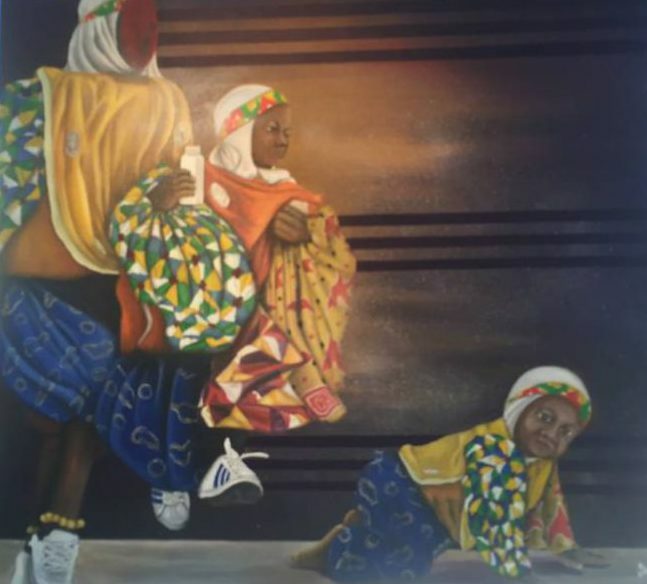 The artist focuses greatly on building a concept rather than on technique, hence the concept of National Identity, and he prides himself on using visual arts to push towards national identity. 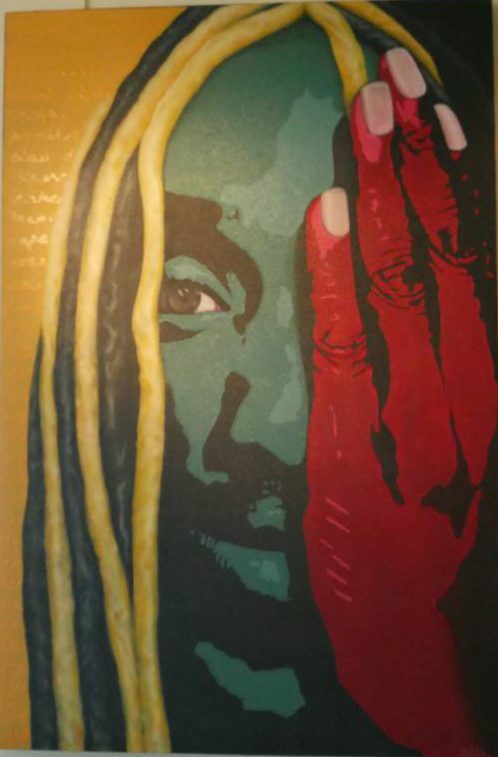 The Grenada Airports Authority has partnered with the Grenada Arts Councils since 2014 in order give local artists more visibility. District Education Officer, Ms Meryl Lorde, offered congratulatory remarks to Nico on behalf of the Ministry of Education. “Your display of this marvelous work of art — God has given you such a talent, and for that, I can tell you that the nation is grateful.” She hopes that his work will be a motivator to everyone who come across it. As a means of achieving more recognition for Grenadian artists, Sen. Hood suggested having the works displayed in various embassies throughout the world. To young aspiring artists in Grenada, Nico advised them to “think beyond this 133 square miles,” and never stop believing and creating. Nico’s paintings will be freely on display for 1 month at the Waving Art Gallery (next to the Liftoff Restaurant, upstairs airport departures).